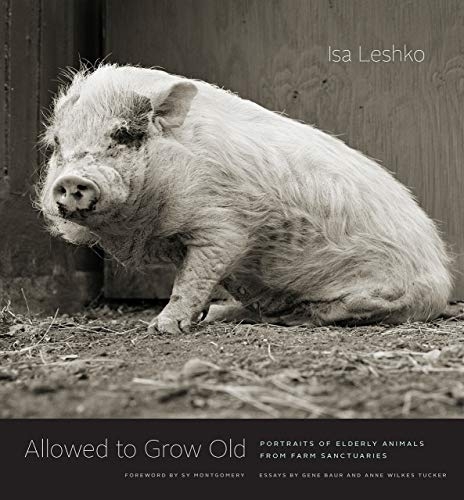 Portraits of Elderly Animals from Farm Sanctuaries. Photographs and text by Isa Leshko. Text by Anne Wilkes Tucker and Gene Baur. Foreword by Sy Montgomery. University of Chicago Press, Chicago, 2019. In English. 208 pp., 48 color illustrations, 9½x10¼". There’s nothing quite like a relationship with an aged pet—a dog or cat who has been at our side for years, forming an ineffable bond. Pampered pets, however, are a rarity among animals who have been domesticated. Farm animals, for example, are usually slaughtered before their first birthday. We never stop to think about it, but the typical images we see of cows, chickens, pigs, and the like are of young animals. What would we see if they were allowed to grow old? Isa Leshko shows us, brilliantly, with this collection of portraits. To create these portraits, she spent hours with her subjects, gaining their trust and putting them at ease. The resulting images reveal the unique personality of each animal. It’s impossible to look away from the animals in these images as they unforgettably meet our gaze, simultaneously calm and challenging. In these photographs we see the cumulative effects of the hardships of industrialized farm life, but also the healing that time can bring, and the dignity that can emerge when farm animals are allowed to age on their own terms. 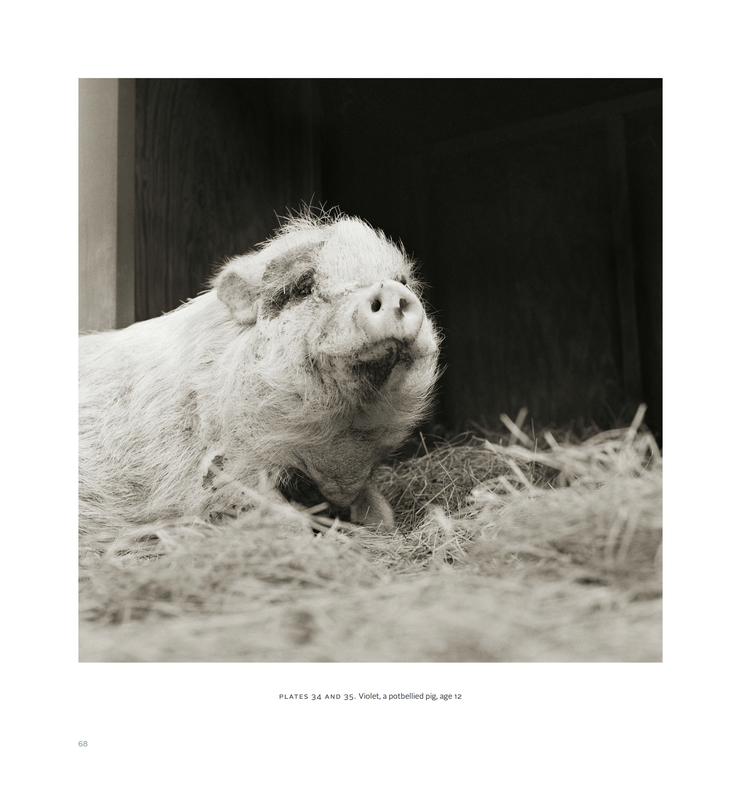 Each portrait is accompanied by a brief biographical note about its subject, and the book is rounded out with essays that explore the history of animal photography, the place of beauty in activist art, and much more. Open this book to any page. Meet Teresa, a thirteen-year-old Yorkshire Pig, or Melvin, an eleven-year-old Angora Goat, or Tom, a seven-year-old Broad Breasted White Turkey. You’ll never forget them. Publication date: April 23, 2019. Signed Copies will be available after May 4.